Mike Jones has been appointed circulation director for the Honolulu Star-Bulletin and MidWeek. Jones' most recent position was circulation director for the Pacific Daily News in Guam. He has more than 20 years of circulation experience, all with Gannett newspapers. He started his career at the Pacific Daily News in 1980 and was promoted to circulation director in 1987. He moved to Palm Springs, Calif., in 1991 as home delivery manager at The Desert Sun. 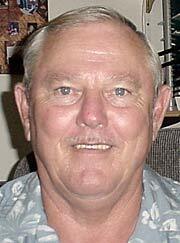 He returned to Guam as circulation director and worked until 2000, when he retired and relocated to Oahu. Jones retired from the Air Force in 1979, serving 22 years. He worked on B-52s through the Cuban Missile Crisis and the Vietnam War. "We're very pleased to have someone with Mike's extensive circulation knowledge and experience, and I'm sure he will serve us well," said Dennis Francis, president and publisher of the Star-Bulletin.